Everyone knows that Toyota makes some of the most reliable vehicles on earth. So it stands to reason that those produced by the company’s luxury division, Lexus, are engineered to the same high standards. 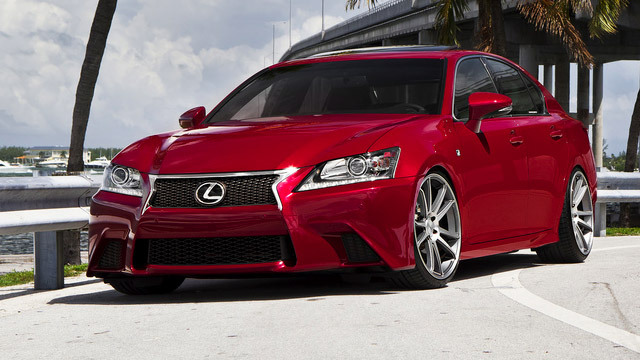 The Lexus name stands for high-end pampering and high-tech performance in addition to dependability. But even the most well-engineered and -manufactured vehicles occasionally need car repair and maintenance. And that’s when Lafayette Lexus owners turn to the unparalleled auto mechanics at Guaranteed Automotive & Transmission Service. Our immaculate shop features the latest in automotive diagnostic tools, and our ASE-Certified auto mechanics are highly trained in their use. That means your Lexus couldn’t be in better hands. From the moment you enter our car repair shop, both you and your Lexus will be pampered. For you, we have a comfortable waiting area, complete with complimentary refreshments and children’s play area. If your Lexus repair takes longer, we’ll gladly get you where you need to be in the Lafayette area in our shuttle, or if you prefer, arrange a discounted rental car from Enterprise. You’ll be happy to know that we’re good Lafayette neighbors as well and support a wide range of charitable organizations. Check out a partial list here. Recently, we did a car repair clinic for a group of Boy Scouts that enabled them to earn merit badges. So when it’s time to bring your Lexus in for car repair, rest assured that the auto mechanics at Guaranteed Automotive & Transmission Service will have you back on the road in no time. Schedule an appointment online , call us or stop by. Guaranteed Automotive & Transmission Service is conveniently located at 3742 State Rd 38 East Lafayette, IN 47905.